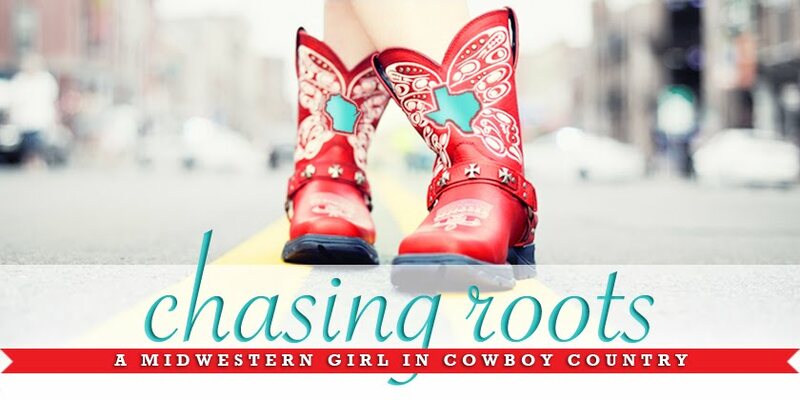 Chasing Roots: Do One Brave Thing Today...and Then Run Like Hell! Do One Brave Thing Today...and Then Run Like Hell! 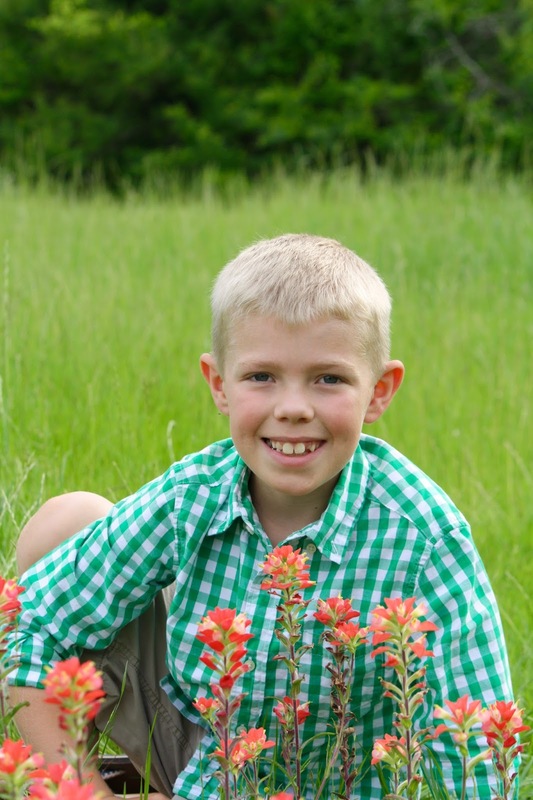 I didn't realize that taking bluebonnet pictures was "a thing" until after we'd lived in Texas for quite a while. 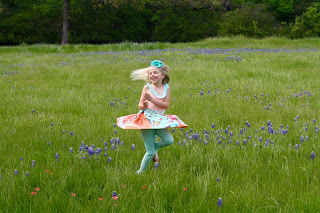 Midway through our first spring here, photos of kids, dressed in their Sunday best and nestled among the bluebonnets, started popping up in my Facebook feed. 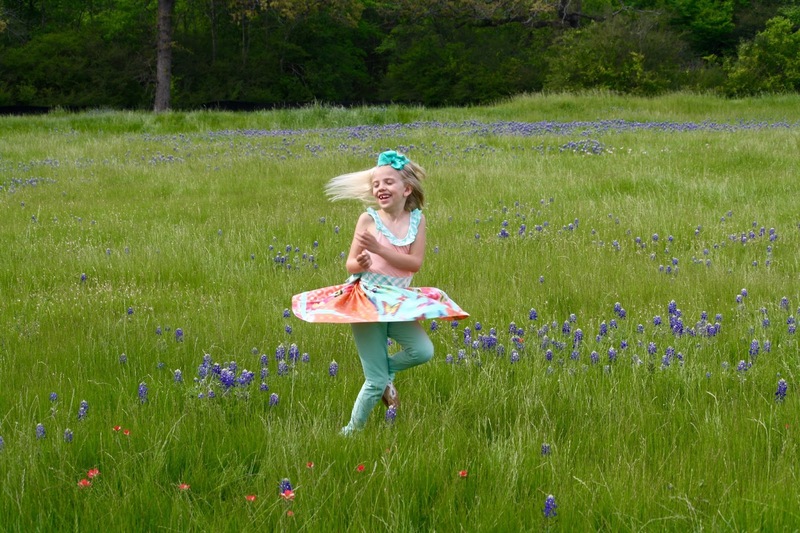 When I asked around, most parents described bluebonnet photo sessions as one of their most time-honored and highly-anticipated annual traditions. 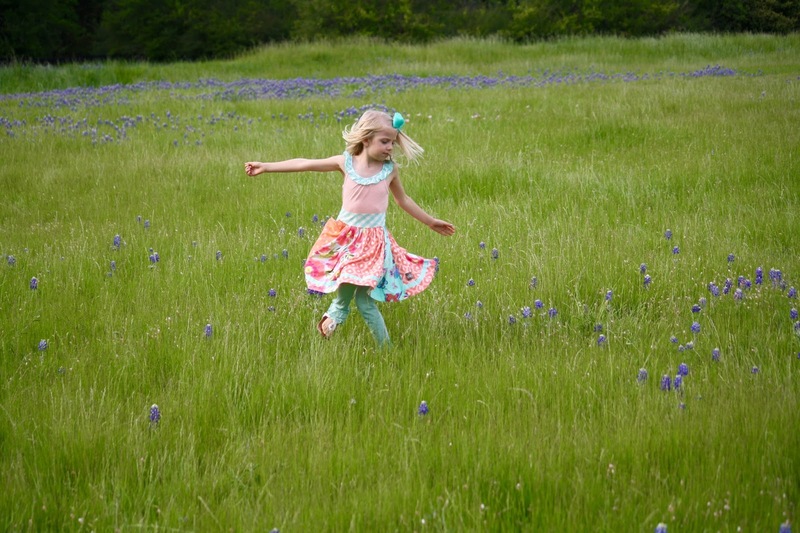 It wasn't until two springs later that the kids and I happened to drive past a field of bluebonnets. 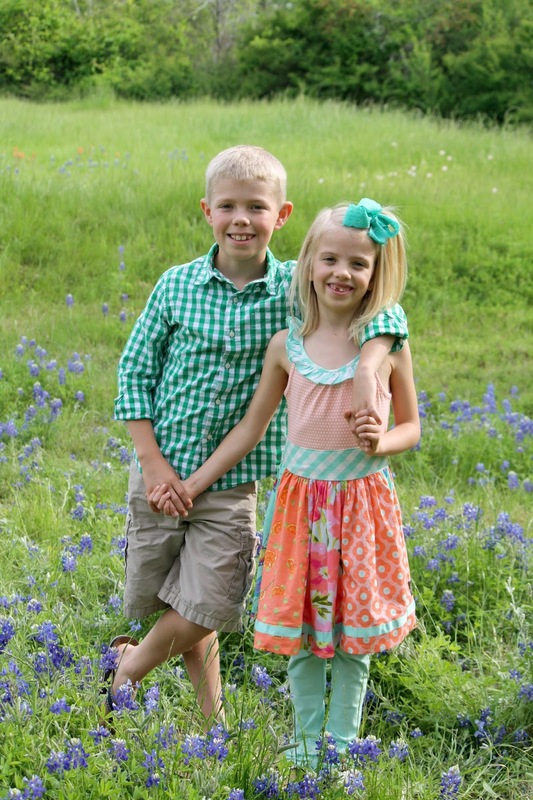 When I noticed I had my camera in the car, I swerved to the side of the road, parked on the grassy shoulder, and helped Will and Hallie climb out. 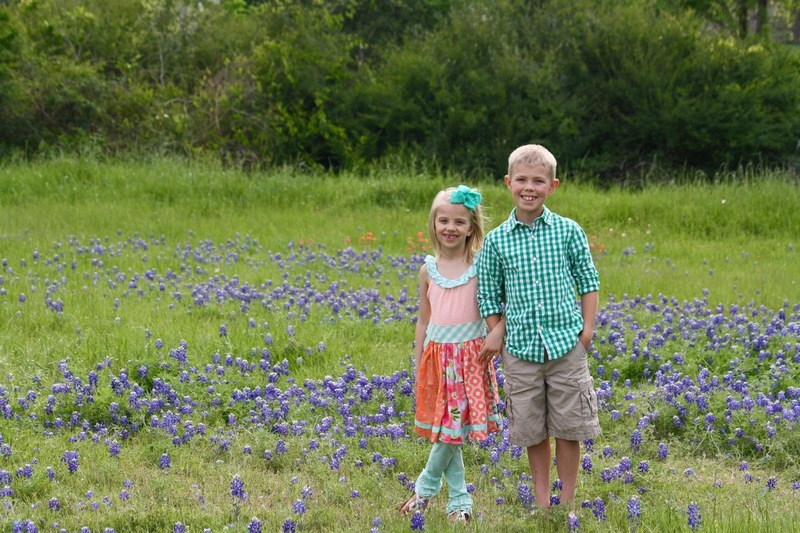 Since we hadn't planned on stopping, the kids had on scrubby weekend clothes (I think Hallie may have actually slept in her outfit the night before) and a little dirt on their faces courtesy of the yard work we'd tackled earlier that morning. They also hadn't eaten for a few hours, so in terms of moods, neither were even close to 100%. We survived the photo shoot though, actually ending up with a few decent pictures. 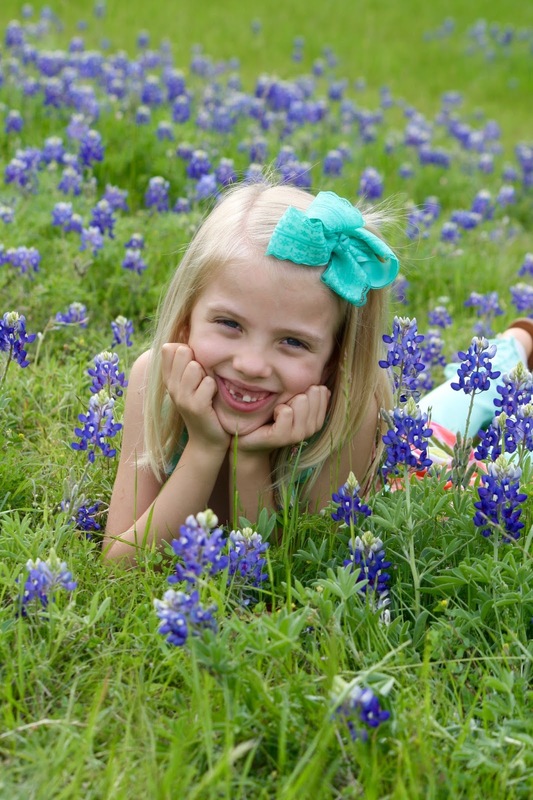 The following year I made plans to do bluebonnet pictures right: as the sun was setting, in coordinated outfits, with lots of treats on hand to coax out the best possible smiles. But the day before our scheduled photo shoot, this picture came across my Facebook feed. 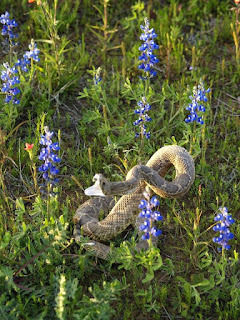 And so, because I am terrified of snakes (all kinds, but especially those of the large, venomous variety), since that day I have refused to set foot in a patch of bluebonnets. Until this year. 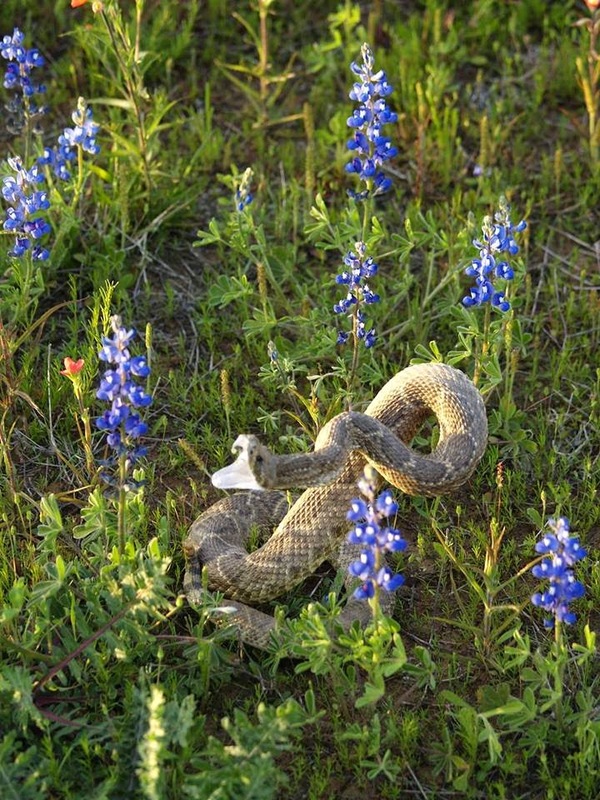 No one I know has ever seen a snake in the bluebonnets (or if they have, they wisely chose not to tell me about it) and I had the perfect outfits picked out, so I decided to put on my big girl pants and go for it. 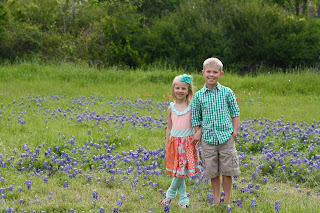 I walked on my tiptoes the entire time we were in the field though, and I cringed every time I asked Will and Hallie to pose among rather than standing in the flowers. 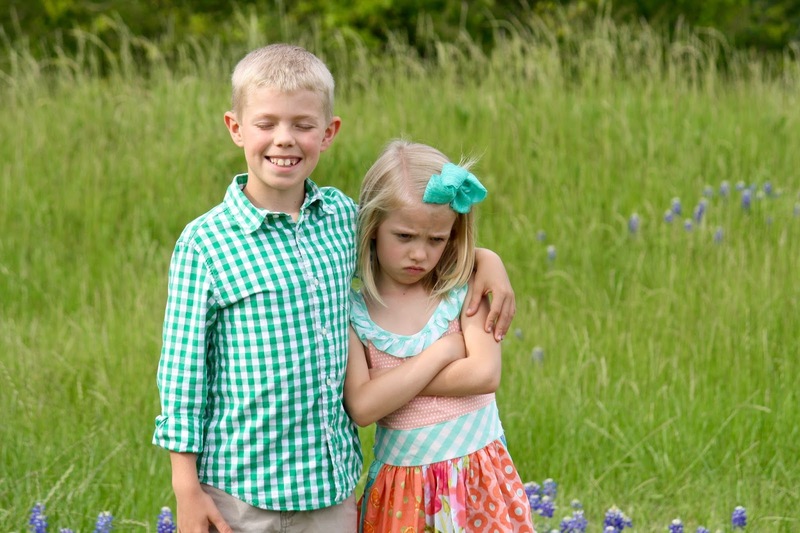 The kids, on the other hand, hadn't a care in the world. And they failed to notice my nervousness until we climbed back into the car and I let out an audible sigh of relief. "What's the matter, Mama?" Hallie asked. 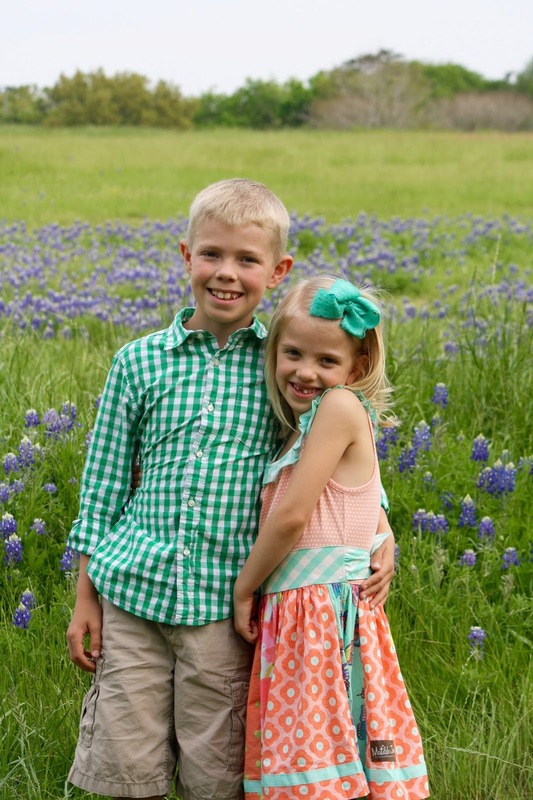 I fumbled through an answer about how I was grateful they had cooperated so well and relieved we'd finished our photo shoot before sunset. 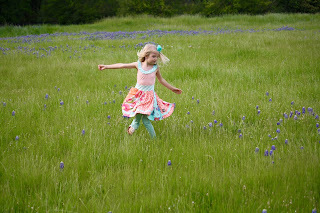 I certainly won't frolic through the flowers on a regular basis, but it seems I have now built up enough bravery to venture out into the bluebonnets once a year. 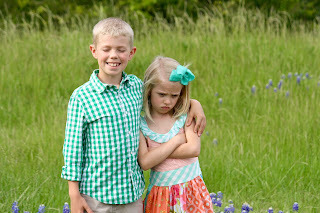 Luckily for Hallie, Will blinked, making this photo unusable...otherwise I would have already framed and proudly displayed it somewhere in my house. i can just feel Hallie's pain..."enough is enough!" love the photos!